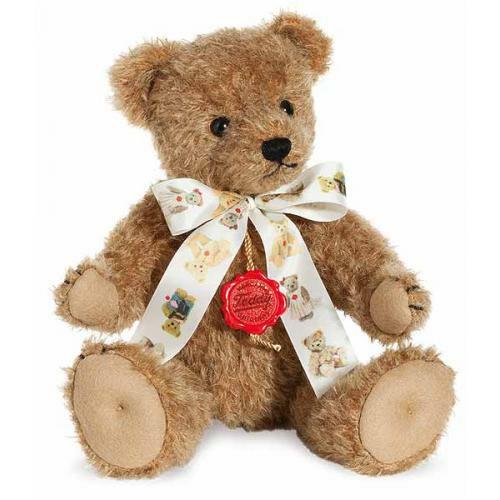 Teddy Hermann Fabian Bear, is fully jointed and made of the finest dark golden blonde mohair. Limited edition of only 400 pieces worldwide. Product details: Item number 170426, safety eyes, synthetic filling, handmade in mohair so, surface washable only. 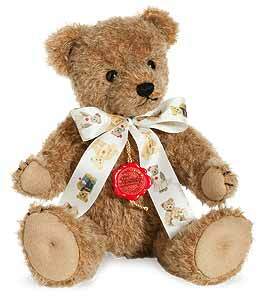 Non growler, Size 26cm tall.